Today marks the 25th anniversary of the fall of the Berlin Wall. 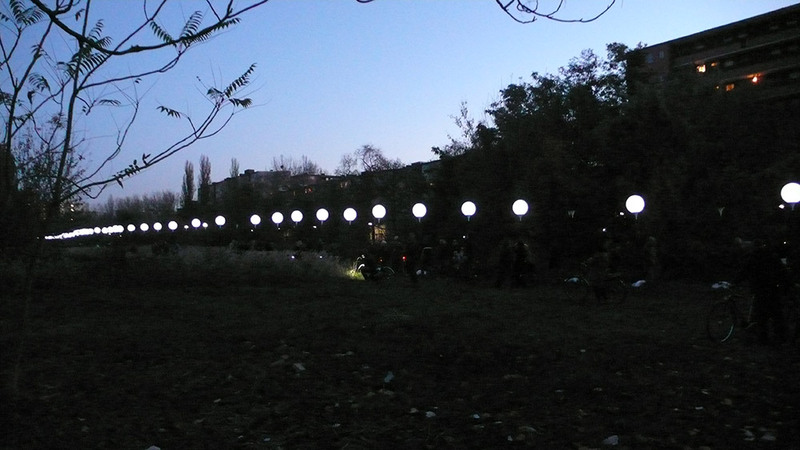 For the last three nights, a chain of lanterns has illuminated a 15km, inner-city stretch of the old border. The lanterns supposedly are to be “released” later this evening, detaching themselves from their stalks, and rising up over the city. 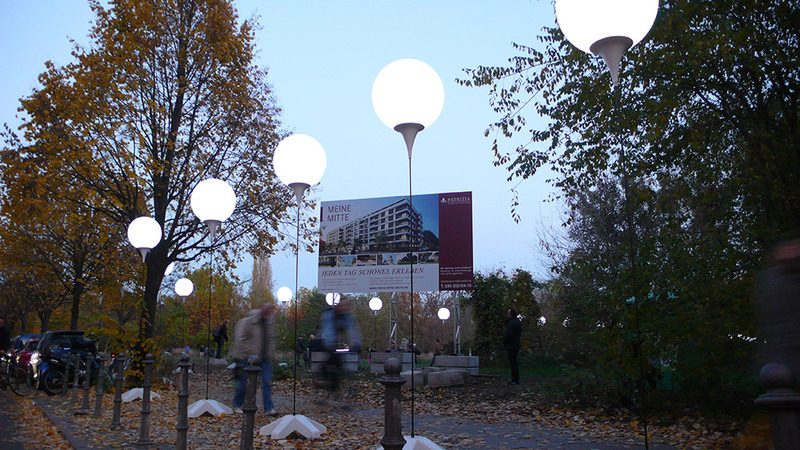 Yesterday I was down at my regular haunt: the roads around the Fellini Residences, and along the big open plot between Alte Jackobstraße and Heinrich-Heine Straße, where crowds passed by slowly on foot and by bike. Whilst the city pauses to contemplate the past, the march of development continues, as the developer’s sign, pictured below, attests. 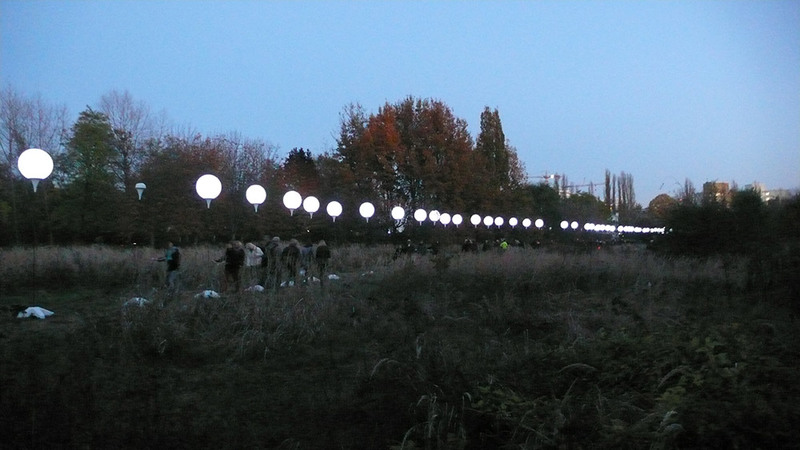 The New Death Strip, published in 2011, is Slab’s full and exhaustive response to the architecture now populating the site of the Berlin Wall. A PDF of the publication (now sold out), can be downloaded here. 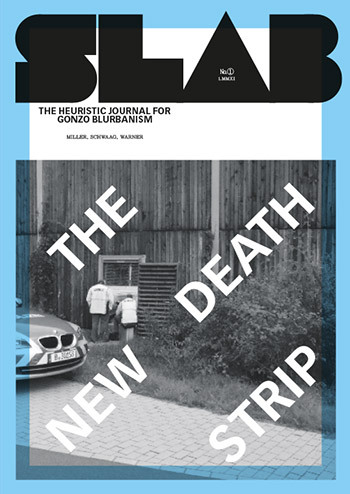 Articles on this site pertaining to the New Death Strip can be viewed here. * The words of Günter Schabowski, official spokesman of the GDR regime, uttered on November 9, 1989, in response to a journalist’s question about when new border crossing regulations were to take effect. Schabowski had no further information on the matter, and hesitantly improvised an answer which would change the course of history.